The Anglers Paradise complex is an enormous fishing complex located near Halwill in Devon. The lakes are of the highest quality suitable for any angler, novice or more experienced. This venue keeps providing anglers with a catch-of-a-lifetime. 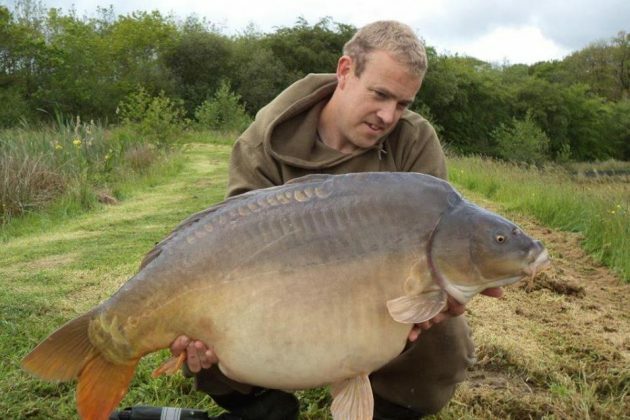 During his latest 48-hour session on the Kracking Carp Lake, Gary Western netted three carp for over 100lb. Using Mainline Cell boilies, he landed three mirrors weighing in at 13kg (28lb and 12oz), 16.5kg (36lb and 6oz) and 20.4kg (45lb). He said: "I was just thinking about packing up when the rod roared off with the 36lb 6oz fish. I was just getting the camera gear ready when the other rod went off with a fish almost 10lb bigger. It’s a session that I will never forget."